At the end of each week we talk about how the top Ramadan shows are doing on YouTube and social media. So today, we’re rounding it up again to see how our favourite shows are doing. So what do you think? Which have fallen behind and which have maintained their position? Last week we were talking about the fierce battle between Ghada Abdel Razeq’s Ded Maghool and Haifa Wehbe’s La3net Karma. While Wehbe started strongly, Ghada quickly made ground during the first week of Ramadan, and the way we left things, they were almost tied. Well, if you’re a Ghada Abdel Razeq fan, you’ll be glad to know that she was able to rise to first place this week. While Haifa Wehbe’s last episode passed 800,000 views only from the 7th episode, Ghada Abdel Razeq has been passing the 800,000 mark consistently from the first episode, and managed to reach over a million views on more than one occasion. We’ve previously talked about how things got much better for Ghada in the fourth and fifth episodes, and how much people were talking about her acting skills. This seems to have remained the case till the thirteenth episode which currently stands at just over half a million views in less than a day. As for the male side of things, Amir Karara’s Kalabsh 2, is playing on a whole different field. Looking back at the first episode Mohamed Ramadan’s Nesr El Sa3ed has garnered just under 9 million views on El Adl Group’s channel for the first episode, but the second episode fell to half of those views. 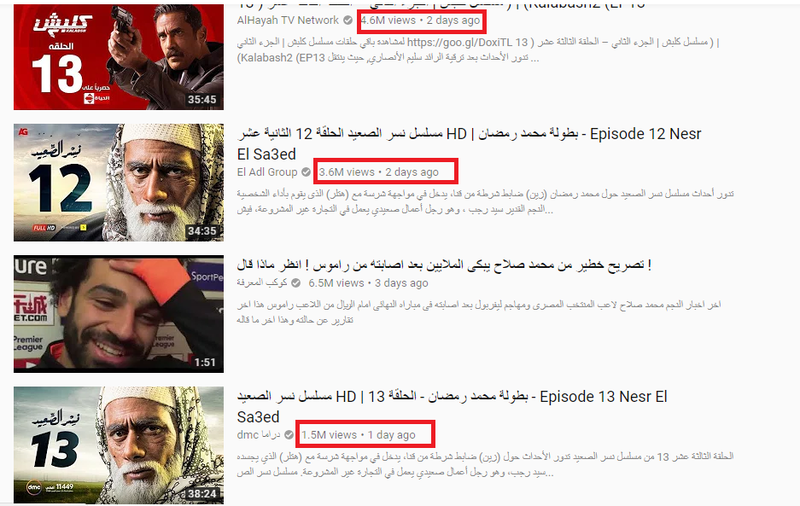 Despite Karara getting only 7.5 million views on the first episode, the second episode fell slightly to 5.5 million views, which is still much higher than the views that Ramadan has managed to garner. However, while Karara has managed to cross the 4 million mark almost constantly on all his episodes until the thirteenth, Ramadan has fallen a bit behind recently. Currently, the 13th episode of Ramadan’s show stands at almost half the views of Karara’s. 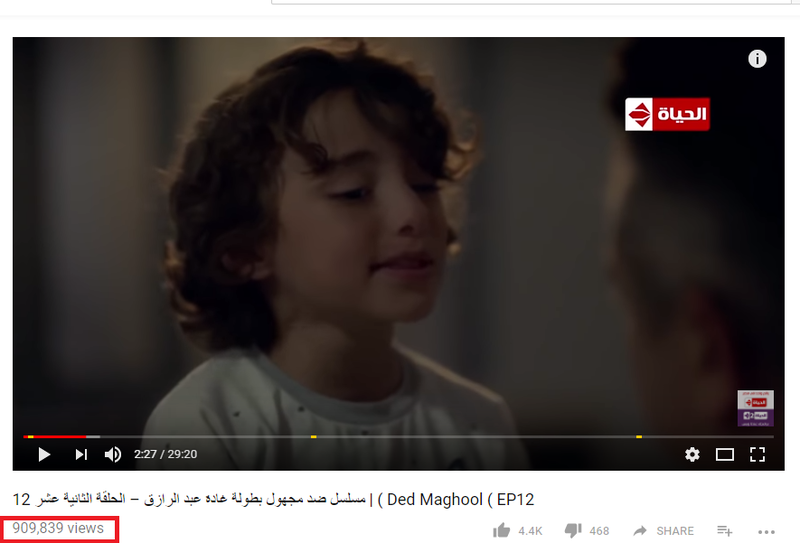 This suggests a dip in the quality of Nesr El-Sa3ed, while Kalabsh 2 seems to have a firm grip on its 4-million-plus audience.